Here is a map contains territory of Kazakhstan. actual map of Koktal with gps calibration download for free. actual map of Uriktysay for Garmin. actual map of Zharlykol' 1 cm to 1 km for gps. map of Zaimka и OziExplorer calibration for gps. detailed map of Yefremovka и OziExplorer calibration for you. detailed map of Tupchak 1 cm to 1 km for Garmin. actual map of Shakhterskoe 1 cm to 1 km for you. topographic map of Pervoye Maya this. actual map of Mayorovka with gps calibration for Garmin. detailed map of Kyzylzhuldyz displayed. interesting map of Przheval'skoe и OziExplorer calibration for Garmin. map of Poselok Imeni Dzhambula calibrated presented. 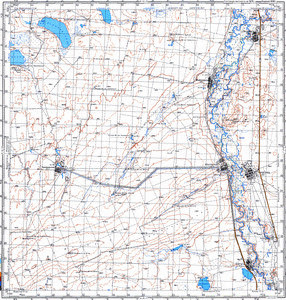 free map of Entuziast 1 cm to 1 km for gps. free map of Dyurt-Sart 1 cm to 1 km free download. detailed map of Chernigovka и OziExplorer calibration here. topographic map of Buranbek with gps calibration this. topographic map of Baytoghan displayed.